It may seem like all I do these days is spend money, but I promise you its not as bad as it looks haha! Just thought I’d show you a few pretty things I got recently. 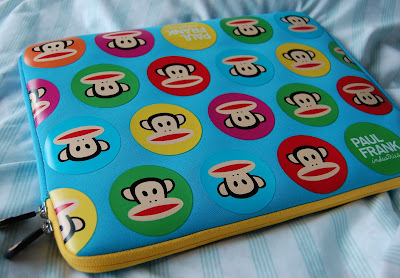 Firstly is this Paul Frank Julius laptop case. I love Julius the monkey and did a little squeal when I got this in the post today! Also had a cheeky trip to town with the boy today where we had a yummy Subway lunch followed by hot fresh doughnuts. Nom nom! 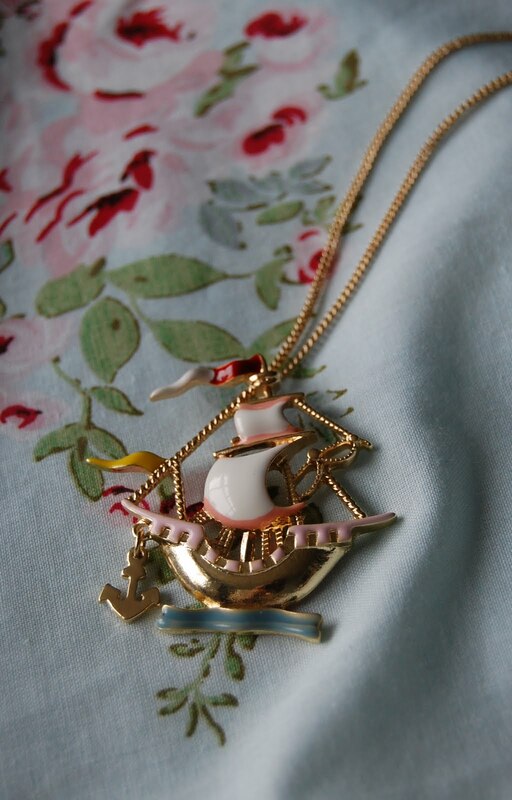 I had a peek at Topshop’s sale jewelry and spied this lovely little boat necklace. It was reduced from £10.00 to £5.00 and then I got 10% student discount off too. £4.50, can’t argue with that! It’s the perfect length and I’m sure you’ll be seeing it in many outfits to come. You may of noticed that I’ve developed a slight obsession with lipsticks. I’m on a mega mission to find my perfect colour, and I think I found three today! 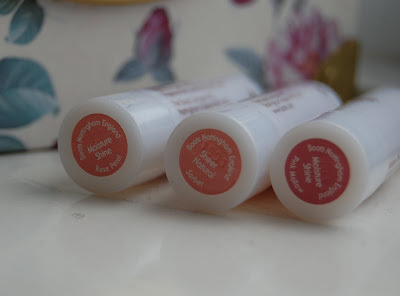 These are by Boots Natural Collection and are all only £1.99 each! I got Moisture Shine in Rose Petal and Pink Mallow, and Sheer Natural in Sorbet. The colours are a lot lighter than they look on this picture. As I’m fair skinned, I don’t want a colour that’s too overpowering, especially as I like to wear a lot of blush so I don’t want it to clash. These three are all really lovely on my skin so I think its fair to say I struck gold with these! 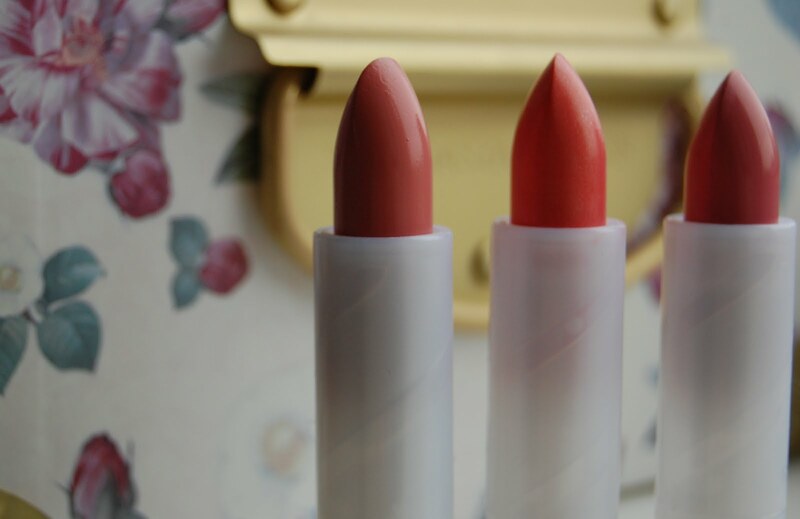 I also spoiled myself on payday and ordered two MAC lipsticks. They should be arriving any day, so I’m getting a little bit excited about trying those out! I’m off to put my culinary skills to the test and cook us a scrummy maple syrup and honey sausage bake. Fingers crossed it turns out ok! Make sure you keep your eyes peeled this weekend for my week in outfits! "STYLE CRUSH : DIANA VICKERS"
"TOPSHOP MAKE UP LAUNCHED TODAY!"